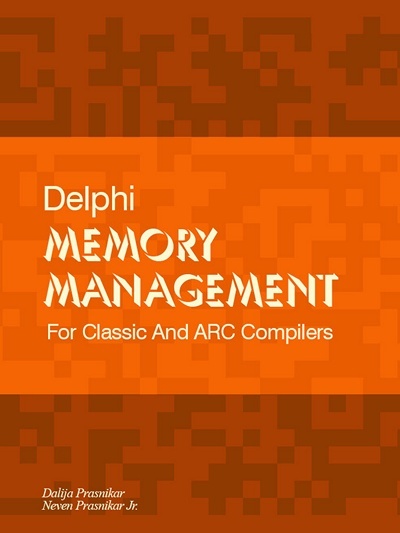 One of the reasons it is so hard to write ARC a compatible source base is that there is no Delphi ARC win32 compiler. So you have to debug your memory issues using the remote debugging capabilities which – besides very slow – are unstable at best. This is the number 1 reason I have been asking for a Delphi ARC win32 compiler integrated with the native Delphi win32 debugger (in addition to the current Win32 non-ARC compiler). Hopefully [WayBack] A second example of memory usage/leaks on linux using TTask (but only running one at a time) inside a loop will show memory usage increasing depending o… – Andrew Pratt – Google+ will give Embarcadero more motivation to eventually develop one. This entry was posted on 2018/06/07 at 18:00	and is filed under Delphi, Development, Software Development. You can follow any responses to this entry through the RSS 2.0 feed. You can leave a response, or trackback from your own site. The medicine is not working, let’s double the dose? The reason why you need to debug your Delphi ARC-enabled code using the real thing is because your existing Delphi win32 code won’t behave exactly the same when you build it in an ARC-enabled compiler. You are unable to run your Win32 code in a Windows machine and discover why it is not working in ARC. And you are proposing, as a solution, to make all the Delphi code in the world to break, so it is simpler to find those issues? I’m afraid you are not kidding but I wish you were. I have made the post more clear as I am proposing a Win32 ARC compiler in addition to the current non-ARC Win32 compiler (I supposed “have” in the post title would imply the current non-ARC Win32 compiler to stay, as it would indeed be really bad to replace the current non-ARC Win32 compiler with an ARC one, but apparently that needed more clarification).